Researchers have applied Nobel prize-winning microscope technology to uncover an ion channel structure that could lead to new treatments for kidney stones. In a recent study published in Nature Structural and Molecular Biology, researchers revealed atomic-level details of the protein that serves as a passageway for calcium across kidney cell membranes. Approximately 80 percent of kidney stones are comprised of calcium salts. They are extremely painful to pass, and depending on size and location can require surgery to remove. Ion channels that span kidney cell membranes help reabsorb calcium from the urine before it can form kidney stones. The new study is the first to show molecular details of the essential kidney calcium channel, called TRPV5, in its closed form. The study also reveals how inhibitor molecules attach to and close the channel, leaving calcium stranded in the urine where it can form kidney stones. "Now that we know what the protein looks like in its inhibited state, drugs can be made with the intention of modulating TRPV5 activity and potentially treating kidney stones directly," said first author Taylor Hughes, PhD candidate in the Department of Pharmacology at Case Western Reserve University School of Medicine. In the new study, Hughes and colleagues used a technique called cryo-electron microscopy—that won the 2017 Nobel prize in Chemistry—to view rabbit TRPV5 attached to its inhibitor molecule, econazole. Cryo-electron microscopy enabled the researchers to zoom in and see protein structures in atomic details. From the new vantage point they could identify different protein regions, including the portion that crosses kidney cell membranes, and attachment sites for molecules like econazole. "When performing cryo-electron microscopy, we shoot electrons at our frozen protein and it allows us to take pictures of individual protein molecules. With these pictures and advanced computer software we are able to create 3D models of these molecules. These 3D models have the potential to be so precise that we can actually see the atoms that make up the protein," Hughes explained. The 3D models helped the researchers predict how TRPV5 opens and closes for the first time. "To understand how a protein moves we need multiple structures to compare to one another," Hughes said. "We were able to draw conclusions about the mechanisms of action by comparing our inhibitor-bound structure to a previously published TRPV6 structure solved without an inhibitor. TRPV5 and TRPV6 are part of the same subfamily of proteins and very similar in sequence as well as structure." The new research builds upon experiments performed by Tibor Rohacs, MD, PhD, at Rutgers New Jersey Medical School and computations by Marta Filizola, PhD at Icahn School of Medicine at Mount Sinai. The researchers viewed TRPV5-econazole complexes under the 12-foot tall cryo-electron microscope housed at the Electron Imaging Center for NanoMachines in the California NanoSystems Institute at University of California Los Angeles. Vera Moiseenkova-Bell, PhD, senior author on the study, has access to this facility as a member of the West/Midwest consortium for high-resolution cryo-electron microscopy supported by the National Institutes of Health. The study also brought together other researchers from Case Western Reserve University, University of California Los Angeles, Rutgers University, Icahn School of Medicine at Mount Sinai, and Pfizer. Moiseenkova-Bell is a Mount Sinai Scholar and former Associate Professor of Pharmacology at Case Western Reserve University School of Medicine. "This publication is the first time the structure of TRPV5 has been solved. Now, structures for four of the six TRPV subfamily members are available at near-atomic resolution for further scientific investigation," Hughes said. 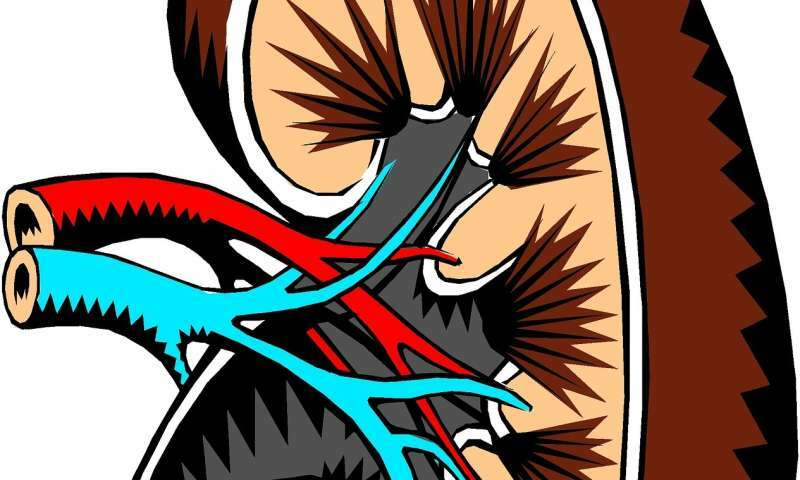 According to the researchers, future studies could include targeted therapies to modulate the protein channels in people suffering from kidney stones.